Discussion in 'Cables, Power, Tweaks, Speakers, Accessories (DBT-Free Forum)' started by rosgr63, Mar 22, 2010. 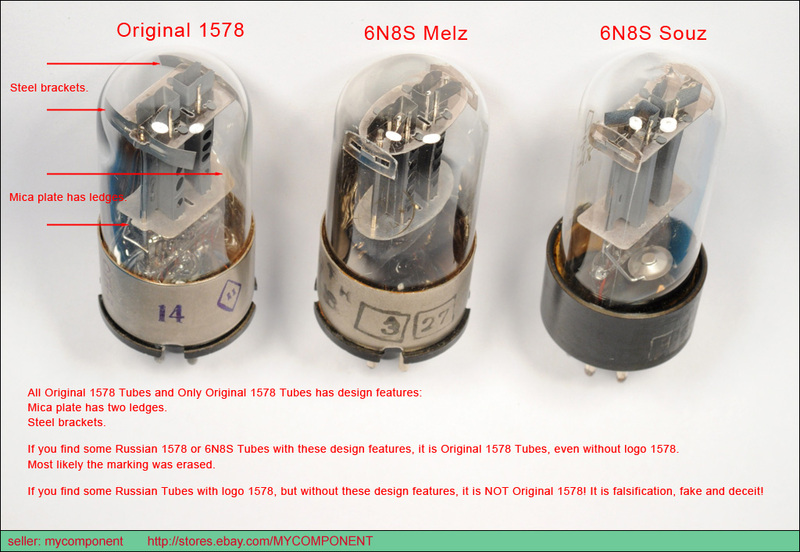 Be careful and make sure it has 1578 printed on it, there is a version that is often confused with the Russian NOS tube and sounds like crap. I don't know about the 6sn7, because I have the little dot mk3, but I'm using the GE Jan5654W driver tubes, and am in love! Thanks for the add, mcullinan, I should have pointed this out. However, I believe Brent Jesse points this out on his site. You're holding out on us - how does the tube render female vocals? A real 1578 has five round holes per plate. But I think they are massively overrated. Three big ones with two small ones at the top and bottom? Well presented Skylab; grokit. I need my money. Not necessarily more glass. Yeah, I guess I won't bother with the 6h8c either. The bass in the bad boy is gonna be hard to top anyway. Also, I've discovered new love for the Shuguang BT. Although not the smoothest, it's excellent for analyzing the music. The bass doesn't hit hard, but the tightness and lightning fast response makes up for that. I hear everything with this tube, which is good and bad. It's neutral sound doesn't lend itself as well to casual listening as it does to analysis, but that's part of what makes tube rolling fun. Unfortunately, after I started enjoying the tube it developed static in one channel. I kept it going for another 20 hours to see if it worked itself out (per Todd's (TTVJ) suggestion) to no avail. I was pretty down about it, since it's not a cheap tube and wasn't used much past the burn-in phase. But then came Todd to the rescue. He said even though it's not under warranty anymore (and never was with TTVJ), he's sending me one he found lying around, as he put it. Not sure if it's a new one, I actually hope it isn't. I wouldn't mind skipping the burn-in phase which is considerable for the BT. TTVJ has been great to deal with since day1 and I couldn't be more happy with the peak/volcano. I find Shuguang Black Treasure very enjoyable to listen to. It might not have tight bass or smooth treble like vintage Sylvanias but its overall presentation of music is non fatigue and harmonious. Wisdom glows the brightest in the darkest hour. 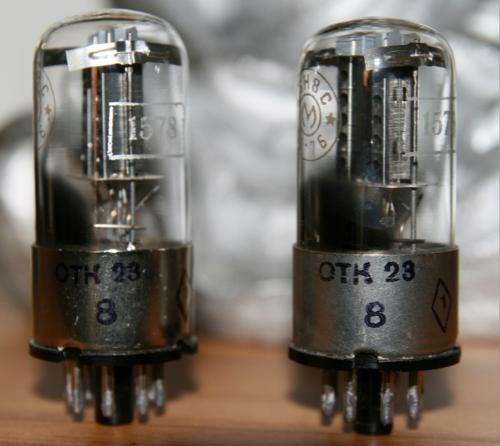 If yourr into midrange the Sylvania Jan VT231 are super sweet and glorious. Bass is a lil shy in these though. Whoops, didn't get the whole post in. The 1578 is not gonna work if you want smooth and sultry. If you are looking female vocals, look elsewhere. It's not my everyday or favorite tube, but it does have it's place. You have to remember it's Russian...and no offense but the consistency from tube to tube is questionable. The one you want is a tad bit shorter and than most and the metal base should be shiny and not pitted or split. The 1578 also needs a good deal of time to warm up and to come to fruition. DSOM is quite awesome with this tube in the right amp. The Melz 1578 are a special tube used in the Muir space station amongst other aeronautic applications and nuclear power stations. The were made to very strict standards, so I would expect top materials and manufacturing standards. It's not may favorite tube, like Rob says massively overrated as far as sonic qualities are concerned.